Today is National Pet Day. 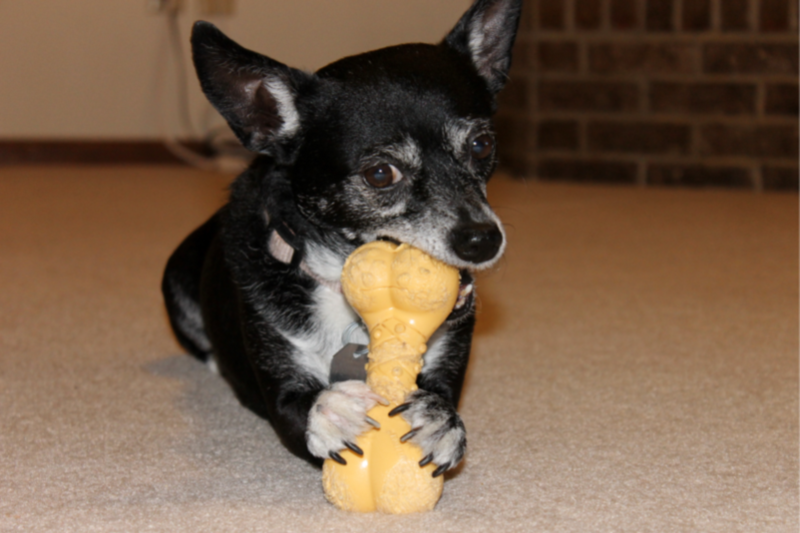 During my life, I have had a wide array of pets: cats, dogs, fish, gerbil and hermit crabs. Currently we have a dog – Poppy. She was a rescue dog we adopted about 3 years ago. She has been the best pet. She is part Chihuahua part Terrier, or so we think. 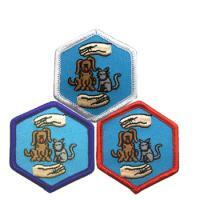 In recognition of National Pet Day, I thought today would be the perfect day to share AHG Pet Care merit badge requirement #5. An important part of owning a pet is taking responsibility for its needs. 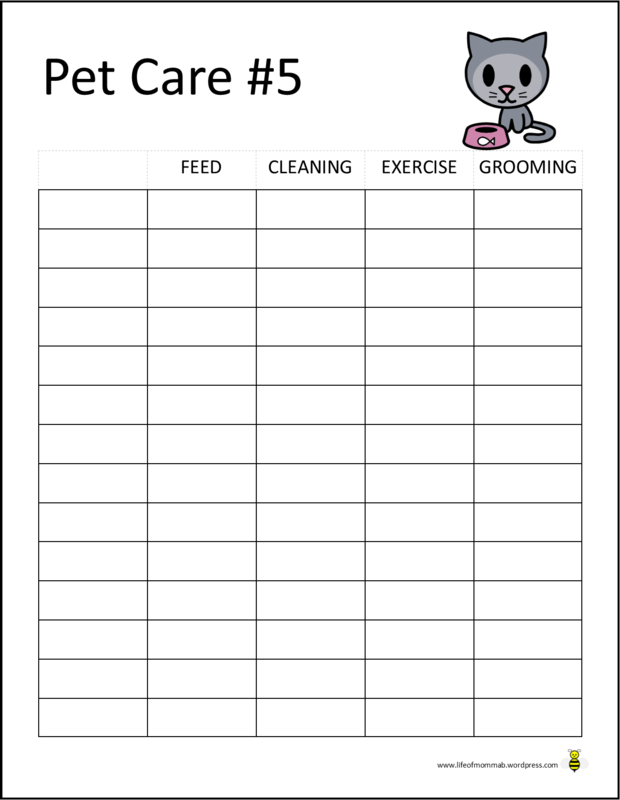 The Tenderheart age girls are required to keep a chart showing how they take care of their pet for two weeks. When my daughter worked on this badge I made her a little chart. 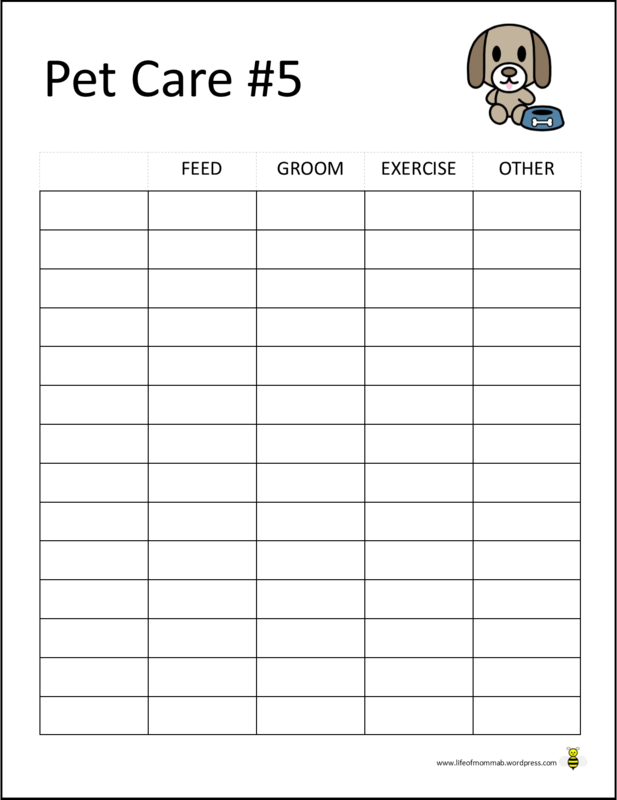 In the file below you will find three different sheets to reflect different pets (page one for dog owners, page two for cat owners and page three is a generic chart). This entry was posted in American Heritage Girls and tagged AHG, Family Living Frontier, merit badge, pets, printable. Bookmark the permalink.